Major League Baseball is rarely ahead of the curve, but with a growing spotlight on catcher concussions, the league is working hard to enhance safety. Restricting home plate collisions is merely the latest step. Late in a lost 2013 season, hours before a meaningless game against the Mets, Phillies battery mates Erik Kratz and Cliff Lee compared the dangers they’d face when they took the field. “You guys can’t be protected any more than you are,” Lee said, ending the discussion. Similar discussions kept cropping up elsewhere, however, particularly after last August, when seven catchers — a worrisome percentage of the 60 or so on big league rosters at any particular time — were placed on the disabled list with a concussion (one of them twice) throughout the month. 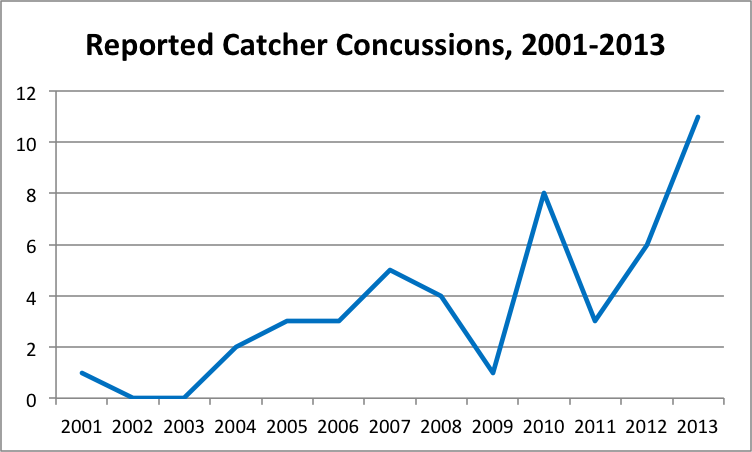 By season’s end, 10 catchers had been concussed, up from six in 2012 and three in 2011. No one had pushed to convene a congressional committee in 2012, when most of the victims were marginal major leaguers, but the 2013 casualties included some more recognizable names. “When the bigger-name guys get the concussions, that’s when it brings more of a light,” Kratz told me. “So if you were to get a concussion, that would be a big deal?” Lee joked. “Probably wouldn’t be that big a deal,” Kratz said. But it was a big deal when former MVP Joe Mauer was felled by a foul tip to the helmet on August 19, ending his season and, ultimately, his catching career. The Twins later announced that Mauer would move full-time to first base, sacrificing some positional offensive value to avoid future foul tips that could keep him out even longer. “We wouldn’t be having this conversation if I didn’t have this concussion,” Mauer told USA Today. One party seemed happy to have the conversation, though. “Concussion issue continues to grow in Major League Baseball,” proclaimed NFL.com on September 13 in a transparent post that could have been titled, “Look, over there! Concussions in some other sport!” The story cited and quoted a report on the rise of catcher concussions, concluding: “It appears MLB is dealing with the same concussion culture that the NFL has been trying to change.” Unsurprisingly, that attempt at misdirection failed to make anyone forget about football’s head injury history. If anything, it made the league look sinister and scared. That post wasn’t a prelude to a war of league websites; MLB.com didn’t respond. That doesn’t mean baseball has been ignoring concussions, though. When not trading accusations with A-Rod, MLB has spent its offseason improving player safety, most recently by agreeing Monday to enact a new rule restricting home-plate collisions. In the process, baseball has solidified its status as a low-trauma alternative for fans who want sports without the side of moral ambiguity — and who, more importantly, aren’t comfortable subjecting themselves or their children to the same risks they’re reluctant (but ultimately willing) to watch on TV. We’re not used to seeing MLB get ahead of the curve when it comes to on-field issues. The league has spent much of the past two decades screwing up on steroids, then going to extreme lengths to make up for its failure to act. As a result, we’re still seeing “Bud Selig” and “tanning salons” in the same sentence far too often for anyone’s taste. Part of the reason we ended up with a “steroid era” instead of a steroid interlude is that baseball wasn’t prepared for the fallout. Without a script for the sport to follow, it floundered and made a bad mess much worse than it might’ve been otherwise. Now, head injuries have become the biggest health and PR hazard in sports since Jose Canseco started sticking needles below the belt. Inevitably, the concussion scare has crossed league lines. This time, though, baseball got to go second. Having suffered the consequences of pretending there wasn’t a PED problem, and having seen the NFL learn the same lesson about downplaying brain trauma, a hidebound, head-in-the-sand sport has gotten another chance to be proactive. And judging by baseball’s response, the sport’s most at-risk players, particularly catchers, have benefited from football’s disastrous first run. Baseball has never been about physical contact, and while its lack of hard hits makes it less exciting to some, it suits the sport well in today’s climate. So, does baseball even have a concussion problem? “It’s a problem if you get one,” said Kratz, who hasn’t. Notably, catchers have borne the brunt of the impact in baseball, suffering three to five times as many concussions as players at any other infield position and roughly 2.5 times as many as pitchers (combining relievers and starters) and outfielders (dividing the “OF” total over three positions). Clearly, concussions are an occupational hazard at a position where a tolerance for foul tips, backswings, and bodily collisions has always been expected. But attitudes toward catcher concussions have evolved as the NFL’s concussion problem has generated increased coverage and as research has further revealed the long-term repercussions that concussed players face. Avila showed no symptoms that season, but another foul tip in 2013 caused a concussion that cost him 16 games. That newfound awareness helps explains the rise in reported concussions that caused such a stir last season. 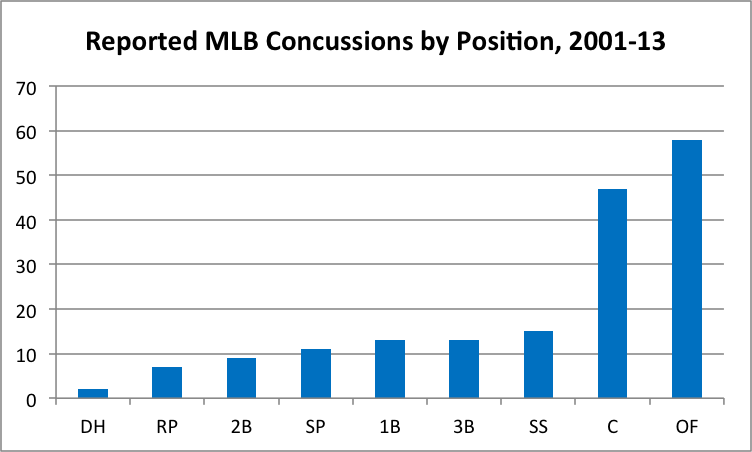 Four MLB policies in particular have led to more enlightened concussion treatment in recent seasons. The first was the 2010 creation of a web-based injury surveillance system that made it possible for trainers to tell how many players had suffered concussions, how many of those players were catchers, and how many had been hit by a foul tip or bat. Next was the requirement, put in place before the 2011 season, that all players and umpires undergo baseline cognitive testing. And after that came a change to the protocol used in the immediate aftermath of a head injury. Celebratory head-slaps are also discouraged. Finally, also in 2011, the league created a seven-day disabled list for concussions based on research that revealed the average concussion clears within five to seven days. 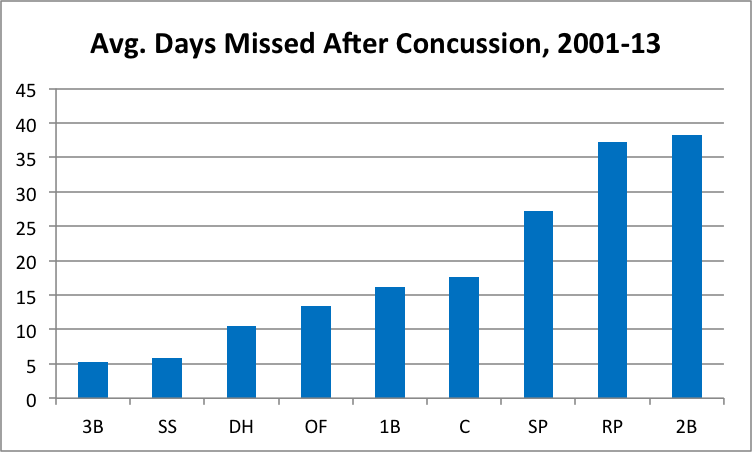 Now that the seven-day DL is an option, the number of catchers disabled by concussions has gone up — five of the 10 DL appearances by concussed catchers last season were stints on the seven-day list — but the incentive for teams to pressure players to return has decreased significantly. It comes as no surprise, then, that Reed’s annual spring training address to the players, which is traditionally reserved for topics like hydration and preventing arm injuries, has recently incorporated a concussion component. Of course, even if teams are no longer as likely to push players who could be concussed, professional athletes as a group rival the Black Knight in their eagerness to play through injury. Until players’ symptoms subside, trainers like Reed have to try to convince them that pretending to feel fine and playing concussed isn’t actually in their best interest. Robinson Chirinos was seven games into an attempt to make the Rays in March 2012 when a foul-tipped fastball from Josh Lueke eluded Chirinos’s glove and left a two-inch ding in his helmet. That was the beginning of an ordeal that lasted several months and subjected Chirinos to the full suite of concussion symptoms: dizziness, nausea, severe headaches, fatigue, balance problems, trouble sleeping and talking. Now fully recovered, Chirinos still doesn’t know what made that one foul tip — as opposed to the hundreds he’d shrugged off before or the three to four that he says hit him in his first game back — so devastating. If you watch enough baseballs pummel enough catchers, a couple trends become clear. The following strike-zone graphic contains every foul tip that caused a reported catcher concussion during the 2012 and 2013 regular seasons. Mouse over the pitch locations to watch video, which will make you wonder why anyone would choose to be a catcher instead of pursuing a less painful career, like crash-test dummy. It’s possible, though difficult to prove, that today’s foul tips are more dangerous than foul tips were a few decades ago. If today’s players are stronger, and therefore throwing and swinging harder, it stands to reason that the average force of a foul tip would also have increased. Certain ball impacts can cause the head to rotate, producing contrecoup injuries in which the brain is bruised on the side opposite the impact. That rotational aspect can lead to trauma even in cases in which the force produced would seem to be below the concussion threshold. The last piece of info we can pull from these videos is what the fashionable foul-tipped catcher is wearing. Catcher’s masks come in two main varieties: the always-on, ear-covering, closer-fitting (and, subjectively speaking, cooler-looking) “hockey-style” mask, and the more traditional model, which is available in both lightweight titanium and heavier steel. Most of the catchers in the clips sport the traditional style, but four of the concussions came with the hockey-style mask equipped. The obvious question is “Which mask is safer?” Unfortunately, there isn’t an obvious answer. Chirinos got hurt while wearing the hockey-style helmet and has stuck with it, albeit with extra padding inside. 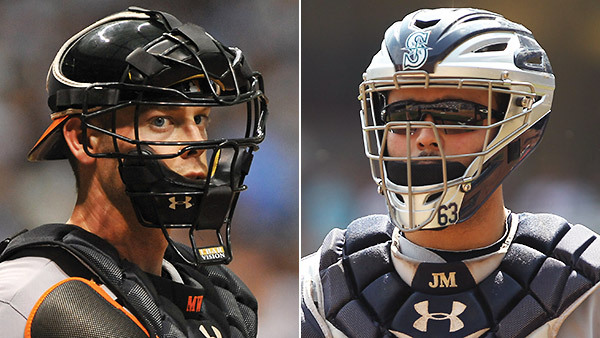 Ross experimented with a Kevlar cap under his hockey-style helmet, then switched to the traditional model, “just to kind of work back and see if that helped at all.” Avila changed from his titanium model, which is designed to detach on impact, to the steel version with the bars farther from the face.5 Some catchers prefer the fit and visibility offered by a certain style, but when it comes to safety, most make decisions based on a sample size of one. It probably doesn’t help to have a mask that detaches on impact. The force of the ball is transmitted to the back of the skull instantaneously, so what happens to the mask after that is irrelevant. Some data does exist on the catcher’s closest cousin, the home-plate umpire. MLB umpires got ahead of the concussion curve by implementing baseline testing in 2000 under the leadership of Mark Letendre, the director of umpire medical services, and they’ve continued to drive research. Last year, Collins’s University of Pittsburgh concussion program completed the first field study on umpire head injuries, receiving a grant from MLB as well as video of every foul tip to an umpire from 2009 to 2011. Collins found that over those three years, 62 percent of umpires had received one to three “exposures,” a fancy term for a foul tip to the face mask. Thirteen percent had suffered seven to nine, and 4 percent had endured 10 or more. Impacts on the chin accounted for 13.7 percent of all exposures, and evidence suggested — but didn’t prove — that umpires standing in the “slot” (the inner half of the plate, to the batter’s side) might get hit more often but experience better outcomes than umps standing in other positions because of the way the ball comes off the handle of the bat as opposed to the barrel. Unfortunately, the findings of the umpire study aren’t able to be generalized to catchers, who crouch lower and sustain impacts on different trajectories. Thus, MLB medical director Green agrees with Collins that more research remains to be done. “Now that we have enough numbers, we now can start to look at, does one type of mask do better than the other,” Green says. If there’s a knock against MLB’s handling of the concussion issue, it’s that the sport’s relatively late adoption of an injury surveillance system has slowed its efforts to perform leaguewide studies. As such, some teams have taken it upon themselves to collect information. In 2005, prompted by the problems of then-catcher Mike Matheny — who was forced to retire two years later at age 36 after sustaining as many as 25 concussions — Stan Conte, who was then the Giants’ director of medical services and head athletic trainer and now serves in a similar role with the Dodgers, sent out a survey to every major league and minor league trainer, the results of which were never published. Aided by relatively lax health information privacy rules at the time, Conte received responses about 219 minor league catchers and 42 big league backstops, a total of 261 players. His survey also turned up evidence that many mild concussions were going undiagnosed: 26 percent of those surveyed said they’d experienced headaches related to foul tips, but most of the same respondents reported, perhaps inaccurately, that a foul tip had never given them a concussion. Some manufacturers are attempting to innovate. For instance, All-Star is working on a “Cryo Helmet” that would attempt to minimize head injury through immediate cooling. (Collins lays a medical smackdown on that idea, saying, “I don’t believe there is any science available to support the merit of this product.”) But the closest thing to a consensus is that no helmet, padding, or Kevlar cap can wipe out concussions. The league can also continue to add to its knowledge base. In 2005, Conte, who has found that catchers tend to overestimate how often they’re hit in the head, tried to determine how many foul tips Matheny had taken to the face mask, but the video options available made the task difficult. Now, Conte and Indians trainer Lonnie Soloff are in the midst of conducting a retrospective study on how many times their teams’ catchers have been hit in the mask on a per-pitch basis. They hope to convince MLB to extend the study to all teams. Conte hopes that when the study is complete, he’ll have answers to a number of questions he can’t address today: How many times does a catcher typically get hit in the head before being diagnosed with a concussion? What’s the probability that the catcher will get hit again immediately after returning to play? Are tall catchers like Matheny at greater risk, and if so, is there any way to minimize that risk through proper positioning? The trials of Matheny — who thought it was normal when he blacked out after foul tips — stemmed, Conte says, from “a failure for the player to tell the medical staff, and also a failure of the medical staff to ask some questions that seemed appropriate.” Those failures wouldn’t be repeated today. Collins, too, is encouraged by what he calls a “very advanced” response to the concussion threat in baseball, which has avoided another career-ending case like Matheny’s or Corey Koskie’s. Lee wasn’t quite right when he told Kratz that catchers couldn’t be protected any more than they are. It may be true that harder helmets haven’t helped prevent concussions, but a rule change might succeed where new equipment couldn’t. In December, Major League Baseball’s Playing Rules Committee, a body composed of executives and former players, voted to restrict home-plate collisions between baserunners and catchers. On Monday, MLB and the MLBPA announced the result of that resolution: Rule 7.13, which applies the existing obstruction and interference standards in effect at other bases to home plate, namely, that a fielder without possession of the ball can’t block the basepath, and a runner can’t deviate from his path to the base to collide with a fielder who already has the ball. Under the updated regulations, the runner will be ruled out if he makes an effort to crash into a catcher, and he’ll be ruled safe if the catcher tries to bar his way without possessing the ball. However, the new language won’t completely eliminate collisions at home: If a catcher has the ball, he’ll still be allowed to block the plate, and the runner will still be allowed to try to run right through him. Although home-plate collisions are limited or prohibited at every level of play below pro ball, the movement to extend the restrictions to MLB has been less than wholeheartedly embraced. In an ESPN.com poll posted in December, more than 60 percent of 200,000-plus respondents voted against the idea. Below every Internet article about the change, macho commenters question players’ toughness and point out that collisions are “part of the game” — an argument that at some point could have been trotted out against every worthwhile alteration that now is part of the game.8 Some current players (including catchers) oppose the rule change, as do some forward-thinking former players — and one former player who’s banned from baseball. Rose may not have been the only one blanking, since no big-name catchers have been concussed by collisions over the past few seasons. But at least four lesser-known catchers sustained concussions from 2011 to 2013 after being barreled into by a baserunner; if you’re feeling nostalgic for stomach-turning, potentially career-altering injuries, you can relive them in the following concussion supercut (which includes Devin Mesoraco, Josh Thole, Francisco Cervelli, and Matt Treanor). Of course, some home-plate collisions have cost catchers far more time than the typical concussion, as Rose is well aware. Buster Posey’s 2011 collision with Scott Cousins led to a fractured leg and torn ankle ligaments and helped build momentum for a ban, as did appeals by Posey’s manager, Bruce Bochy, and Matheny, who reversed his stance on the issue. If a note to existing Rule 7.06(b) — “The catcher, without the ball in his possession, has no right to block the pathway of the runner attempting to score” — had been enforced strictly (or at all), we might not have needed an amendment. But that part of 7.06(b) seems to have fallen prey to the Peltzman effect: the idea that people compensate for decreased risk by becoming less cautious. Make outfield fences more padded, and outfielders will be more willing to crash into them; make players more padded, and they’ll be more willing to put themselves in the path of the runner, with the umpires’ tacit approval. The “human shield” approach might have made sense at one time, but now it’s nearly truly foolhardy. “The collisions at home plate are more and more violent, it seems like,” says Reed, and that stands to reason: The average batter today, weighted by playing time, weighs about 50 pounds more (or 31 percent more) than he did at MLB’s inception. If you’ve retained any information from physics class, it’s probably Newton’s equation for force: mass times acceleration. Today’s players are more massive and move more quickly, and the power they produce is too great for even an armored stationary figure to withstand. Home-plate collisions can be pulse-pounding plays (though a creative slide is exponentially more exciting), and MLB is taking a small risk by restricting one of the sport’s few instances of intentional contact. But whether the league is acting out of concern for its players (as it claims) or fear of future lawsuits, the rule change should keep more first-stringers on the field and, by extension, lead to better baseball — and fewer instances of players who’ve already suffered serious head injuries risking a relapse by butting heads. These foul-tip clips and concussion rates would seem to suggest a simple parenting tip: Mamas, don’t let your babies grow up to be catchers.9 If you have to have a concussion, however, it’s actually better to be a catcher than to be a pitcher or a second baseman, who have taken roughly twice as long to recover since 2001. One reassuring stat for catchers, in light of the sad stories of premature death among former NFLers: Being banged up behind the plate doesn’t seem to lead to a lower life expectancy. 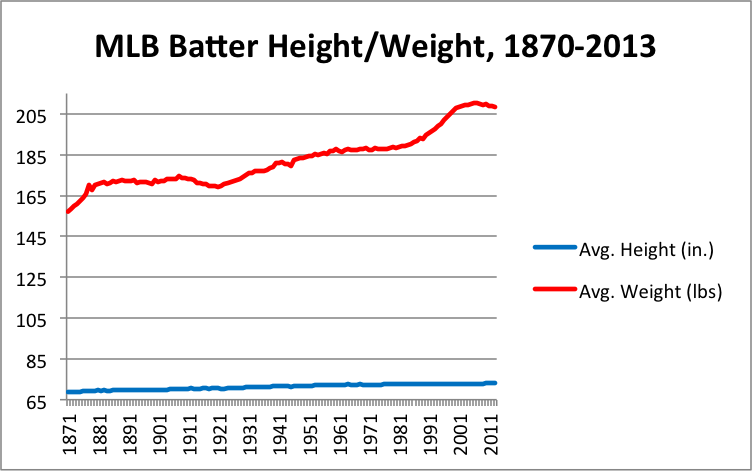 Post-1900 catchers have lived an average of 68.9 years, compared to 69.1 for players at other positions. While catchers can at least count on their skulls staying intact when they’re hit in the helmet, pitchers and second basemen have nothing but a New Era cap between them and the baseball. When a pitcher is hit in the head by a line drive, or a second baseman is upended or kneed in the head by a runner who’s attempting to break up a double play, a concussion can be just one of the ensuing problems. According to the Baseball Prospectus database, at least 11 pitchers have been hit in the head by batted balls over the past three seasons, and 24 over the past six, though not all of their injuries proved so serious. MLB hasn’t neglected pitchers or second basemen in its offseason safety efforts. Protective caps or cap inserts for pitchers have been discussed for some time, but developing what seemed like a simple solution proved to be a greater challenge than anticipated. Green still hasn’t found it. Last month, MLB approved a padded cap for pitchers, a major milestone. But the 2014 model, manufactured by isoBlox, is neither comfortable nor inconspicuous: It’s hotter to wear and three times heavier than an unpadded cap, and it’s impossible to wear without looking less stylish than Fred McGriff in the Tom Emanski video. Worse, it provides only imperfect protection against the most dangerous batted balls. According to baseball researcher Alan Nathan, a professor emeritus of physics at the University of Illinois, the average line-drive comebacker has a velocity off the bat of 90 mph, which would put it around 83 mph by the time it reaches the pitcher. To be cleared for in-game use, isoBlox had to demonstrate that its cap could provide protection against batted balls of that speed. 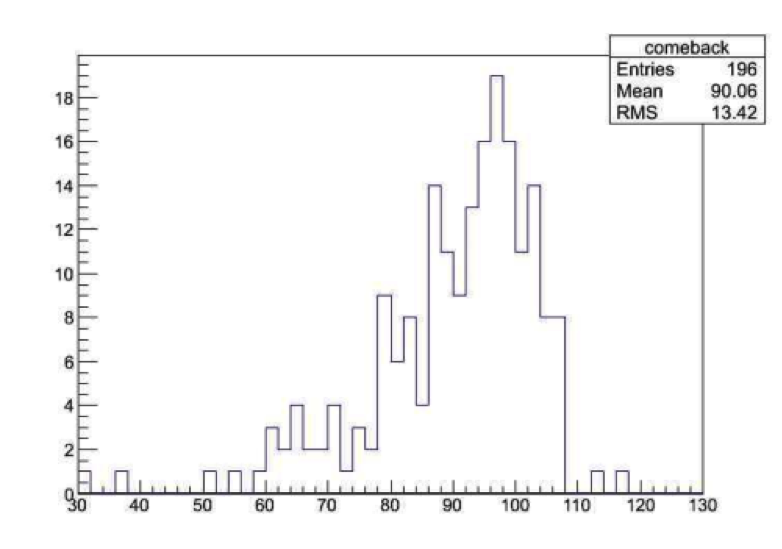 But Nathan’s research, based on HITf/x data from April 2009, shows that a substantial percentage of major league line drives toward the mound are hit harder than 90 mph. Against those, the isoBlox cap offers only partial protection (though it should be adequate for amateur players, who aren’t facing the same speeds). Among players, the cap’s capabilities are secondary to concerns about cosmetics and comfort. Although he was involved in the cap’s development and implied that it would’ve prevented his 2012 skull fracture had he been wearing it at the time, starting pitcher Brandon McCarthy essentially gave the cap a “good job, good effort.” As a result, the pioneering cap seems certain to suffer the same fate that befell the 2009 Rawlings S100 batting helmet, nicknamed “the Great Gazoo” because of its size. Not only was the original S100 uncomfortable, but anyone who wore it was mocked by teammates, media members, and fans. It quickly went away. But a few years later, the S100 was back, much smaller but just as strong. The revised version met with immediate acceptance, becoming the league standard last season. Protective caps for pitchers should follow a similar progression, with a slimmed-down size leading to wider adoption. And though nothing short of a helmet would provide complete protection, life- and career-threatening impacts among pitchers are rare enough that cutting out a couple per year would significantly reduce the threat. In deference to the safety of second basemen — who, like catchers, have historically declined at an accelerated rate, possibly due to wear and tear — MLB has come close to officially sanctioning the “neighborhood play,” the tendency for umpires to allow middle infielders a little leeway with force plays around the second-base bag in order to give them time to avoid a charging runner. When plans for expanded instant replay were announced, many wondered whether these plays would be subject to review — and if so, whether that would endanger infielders, who would have to remain on the base or risk giving up an out. When MLB put out an instant replay press release with additional details, we got our answer: Force plays would be subject to review, “except the fielder’s touching of second base on a double play.” The message: Baseball is putting player safety ahead of getting every call correct. In an article for Grantland in February 2012, economists Kevin Grier and Tyler Cowen detailed what the death of football might look like. “More and more modern parents will keep their kids out of playing football, and there tends to be a ‘contagion effect’ with such decisions; once some parents have second thoughts, many others follow suit,” they wrote. No word yet on whether Pop Warner participation has increased among those politically opposed. It’s too soon to see a decline in youth participation reflected at higher levels of competition, but changes to what Grier and Cowen called “the NFL’s feeder system” should eventually propagate up to the pros. There’s little evidence that legions of would-have-been Pop Warner players are flocking to youth baseball — Little League director of media relations Brian McClintock says, “Our numbers have remained consistent in recent years” — but if the future of athletics is one in which head injuries pose an existential threat, then baseball, by its very noncontact nature, is among the major sports best positioned to thrive. “If you look at surveys of all different sports in college and high school, if you look at the studies, baseball consistently has the lowest concussion rate of any of the major sports that they survey,” Green says, in a statement that seems to have ample support. MLB’s recent efforts to promote player safety — undertaken well before Ryan Freel’s posthumous CTE diagnosis came to light — have only strengthened that advantage. Baseball clubs have sizable financial stakes in their players’ health, and the league has an even larger incentive to steer clear of PR problems and legal trouble, but if MLB has acted out of self-interest, it has pulled off a convincing impression of an organization motivated primarily by concern for its players. Baseball’s audience isn’t as big as football’s, but the sport inflicts fewer painful reminders on its fans. “When they happen, they happen dramatically, like someone running into a wall or a collision or getting hit by a 100 mph pitch,” Green admits. But if MLB has its way, those reminders will happen less and less often, starting this season. George Carlin’s routine about the differences between football’s militaristic roots and baseball’s relative tameness concludes, “In baseball the object is to go home! And to be safe! I hope I’ll be safe at home!” The truth is that being behind home plate historically hasn’t been safe, as countless catchers could testify. Thanks to MLB’s recent efforts, though, that’s changing. And while Carlin made it sound silly, baseball’s safety is about to become one of its strengths.